Dear students, RRB has released admit card / e-call letter / hall ticket of ALP and Technicians 2019 second stage computer based examination(CBE) which is scheduled to be conducted on 21st, 22nd and 23rd January 2019. We are sharing direct link to download RRB ALP and Technicians 2019 2nd Stage Admit Card. How to Download ALP Admit card? >> Visit Official Website of RRB. 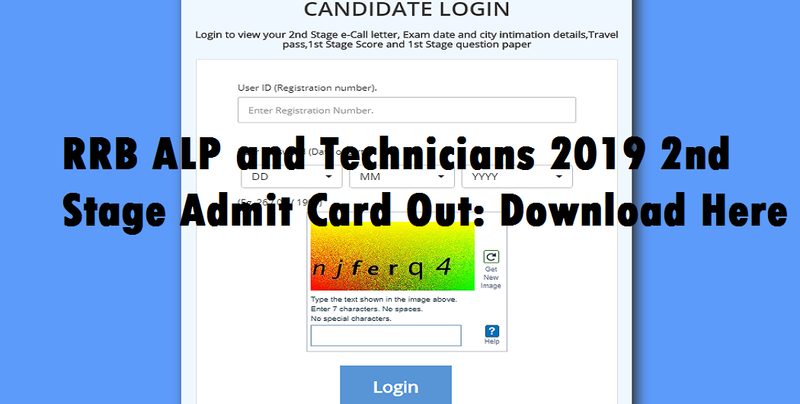 >> Click on the link of RRB ALP and Technicians 2019 2nd Stage Admit Card download.